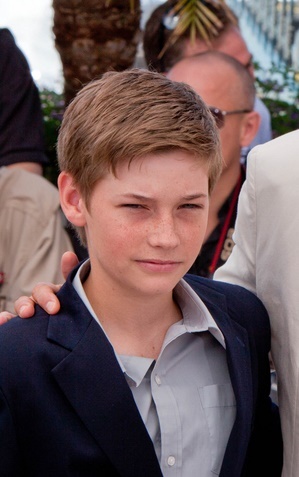 Place of Birth: Briggsville, Arkansas, U.S.
Jacob Lofland is an American actor. Jacob’s paternal grandfather was Billy Seth Lofland (the son of Homer Virgil Lofland and Oda/Ada Parks Caviness). Billy was born in Arkansas. Homer was the son of Seth Wilburn Lofland and Rosa/Rosie Alice Malone. Oda was the daughter of William Thomas Caviness and Dora Elizabeth Campbell. Jacob’s paternal grandmother is Nina Dell Melton (the daughter of Arley/Arlie Melton and Hester Jewel Spears). Nina was born in Arkansas. Arley was the son of Clinton Kelly Melton and Melvina Elizabeth Keys. Hester was the daughter of David Spears and Polly Ann Green. Jacob’s maternal grandfather is John Henry Blankenship (the son of William Sherman Blankenship and Dovie Levonia/Lavonna Gladden). John was born in Arkansas. William was the son of James Thomas Green Henry Floyd Blankenship and Elizabeth Paralea/Parlea/Perry Lee Johnson. Dovie was the daughter of Francis Marion Gladden and Emma Levona Hall. Jacob’s maternal grandmother was Marie Evelene McConnell (the daughter of Virgil/Virgel McConnell and Effie Calvert). Marie Evelene was born in Arkansas. Virgil was the son of Thomas Jackson McConnell and Elizabeth Garner. Effie was the daughter of Zara Calvert and Virginia Maybelle McGhee.